At Luceys 1880 has coordinating and providing exquisite catering to some of Ireland’s leading businesses. We offer buffet lunch or a five star gourmet meal we have the credentials and experience to impress your clients, and enhance any company meeting or conference. Over the years we have catered for every style and theme and we have the expertise to help you deliver a high class catering service when you need to impress the public, VIP Guests, the Media and visitors, no matter the volume of catering required or the diversity of the locations you need a catering service for we can help. Our standards are always high, our expectations higher and our staff are some of the best in the catering business. We believe we can offer you the best possible catering service, and at realistic rates. Our aim is to build long term, mutually beneficial relationships with our clients and to keep you and your customers as happy as possible. So when you need a professional catering company for your special guests or as a corporate service please do contact us for a no obligation quotation. We will be delighted to hear from you. Getting great food and a top quality catering service for your party can be daunting, but it needn’t be! From in home dinner parties for groups, Communions, Confirmations, Christmas and New Year celebrations, Birthday’s or Anniversaries, to large receptions or banquets we have catered for parties in every style and theme and we have the expertise to help you make your special day a unique and truly personal occasion. 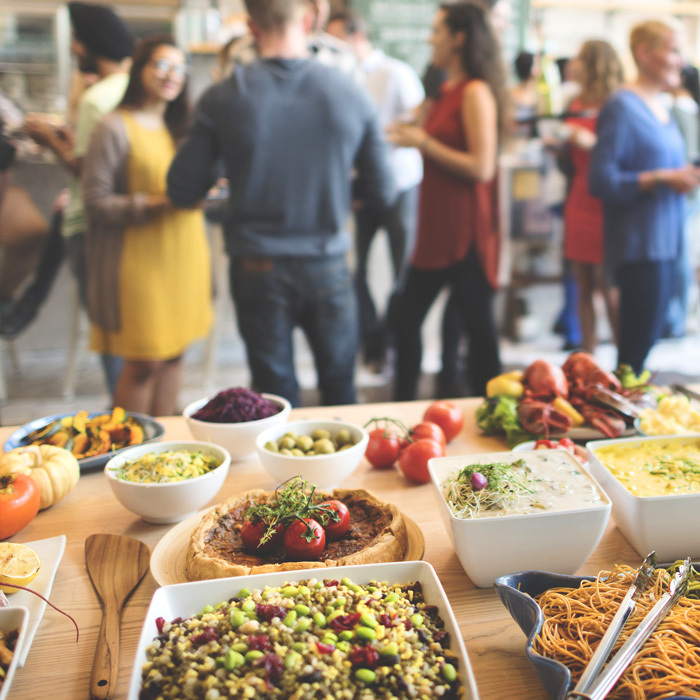 Our Party Catering Menus are all excellent value for money and using us to cater for your party may prove far less expensive than you may have thought. We can cater for groups with a perfect buffet, formal dinner or full scale catering service, whatever you may require we can supply.